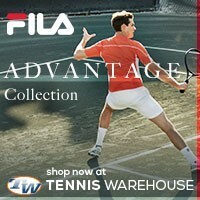 Win 2011 US Open Tennis Shoes from Wilson! Alright readers, it’s getting to that time again….the TennisThis.com Major Tennis Tournament giveaway – yeah, I just made that up. I’ve told you that I will be selecting free tennis things to giveaway during each of the major tournaments (or grand slams as some of you like to call them). Now that the US Open is right around the corner, I’m making this contest pretty awesome. 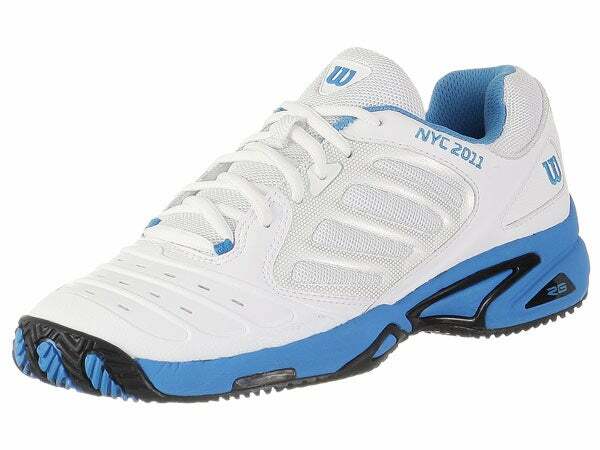 Wilson just released special edition NYC or New York City 2011 Tour Vision tennis shoes. My first guess would be that the NYC 2011 embroidery is because the US Open takes place in New York City. So I’ve decided to select this particular tennis shoe the prize for this major’s giveaway! 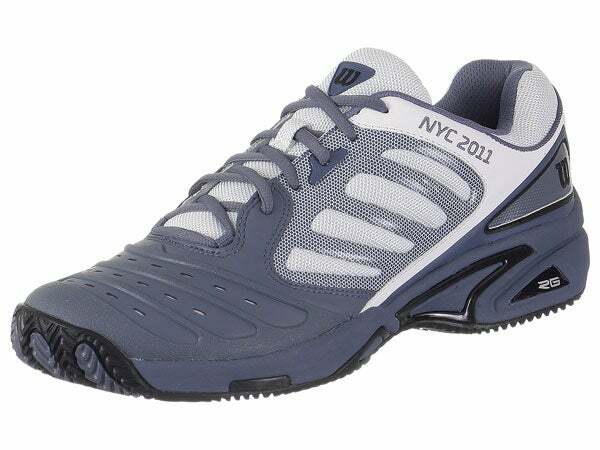 That’s right, enter to win a free pair of Wilson’s “NYC 2011” Tour Vision tennis shoes (6-Month warranty included)! Like I usually do is have you leave a comment as your entry, but this time I’m going to do things a little differently. To enter, you must leave a comment, however; in that comment you must tell me what you love the most about tennis. I don’t require a specific length or anything but make it at least original. Don’t worry, the winner will still be selected at random. I’ll ask the winner their shoe size when he or she is selected on September 11, 2011. 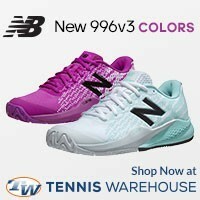 I’m also including the lovely ladies of the tennis world, Wilson also made a women’s version of the tennis shoe. So please, I encourage all to enter this pretty awesome free tennis contest. This year’s US Open should be super exciting, I’m looking forward to all the fierce competition. I’m still not going to make predictions just yet, I have to wait until the 2011 Draws come out so you will all have to wait. Though I’m pretty sure Novak Djokovic is going to get the favorite vote – he is after all having a spectacular 2011 tennis season. 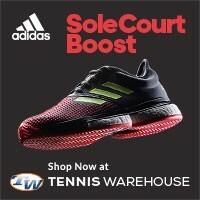 There ya have it, the 2011 US Open Tennisthis.com contest/giveaway! I think I’ve selected a pretty awesome prize and it is in line with the tournament itself. I wish you all good luck and keep coming back for tennis updates and of course my 2011 US Open predictions! What i love most about tennis is actually being out there on the courts in a fierce point. Nothing beats pounding the ball back again and again, then getting that opening and making an amazing shot. What I like most about tennis…………….let’s see, that would be Roger Federer !!!! I love how tennis can be played by anyone. There is no age requirement and you don’t have to be extremely fit to play. 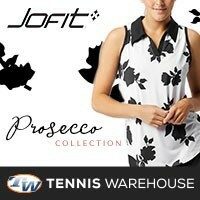 I love Tennis because it can be played in some form or fashion by any age group. Never to Young and Never to Old to play tennis. That is a wonderful story, I can imagine your father was not only a great player but a great person. Thank you for sharing. I love pushing him off the court with the serve, running him across the court with the sliced approach shot and firmly putting the point away with the forehand volley back to the deuce side. I love tennis because when you hit a winner, there is no better feeling in the world! Also the sense of sportsmanship- people are generally very sportsmanlike and aware of their opponents strength and power. Tennis is my girls night out. It is the only time I can be 100% me. Not a wife, not a mom, not an employee…. just me! – the addictive feeling of a fluid swing leading to a properly hit ball as it comes off the racquet’s sweet spot, accompanied by the loud pop. – making friends from different walks of life (and ages!) as I meet them through pickup games; i.e. the social aspect of tennis. – I can practice by myself if I can’t find people to play with. Wall practice –> groundstrokes, volleys, overheads. Courts –> serves. That’s how I started out tennis. There are a few other reasons, but as I think about it more while typing this, I would say it’s the feeling of hitting the ball. At the same time, it can also easily become the reason why I “hate” (not truly) tennis: if my strokes aren’t feeling good, I become so frustrated… much related to your “Getting Over The Tennis Hump” post. But even then, I think it’s my pursuit for the feeling of good strokes that brings me back. Love how tennis is, and has always been, such a female friendly sport, and also a very accessible sport. These two aspects were crucial in giving us the incredible and amazing Williams sisters. THANK YOU tennis, we love you.